At Gerona the French for the first time ran into a Spanish army that neither ran away nor surrendered. The epic defence of Gerona lasted for over a year and saw the French throw everything that they had at the old walls around the city. The Spanish fought back gallantly, using thier bare hands when they ran out of ammunition. The city still celebrates as a public holiday the day the French were thrown back from the breaches. 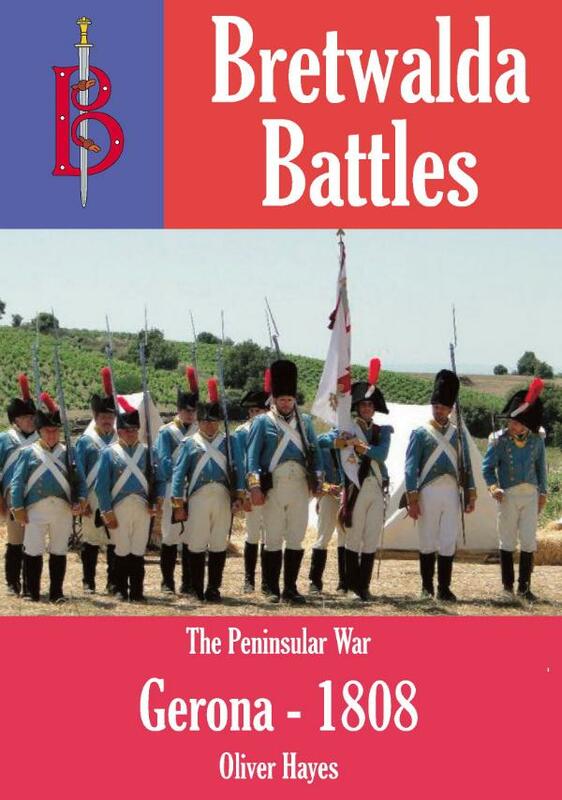 This book forms part of the Bretwalda Battles series on The Peninsular War. The book outlines the Peninsular War up to the start of the Gerona Campaign. It then analyses the careers of the commanders and explains the tactics and weapons of the time together with any differences between the practices of the armies involved in the battle. The book then describes the action in detail before moving on to outline events after the sieges. This lavishly illustrated ebook is a must for anyone interested in the Peninsular War in general or the Battle of Talavera in particular. Please note that some sections - for instance that on tactics - are repeated in other books in this series so you may care to purchase the compilation volume on The Peninsular War, which includes all the battles with no repeated text.